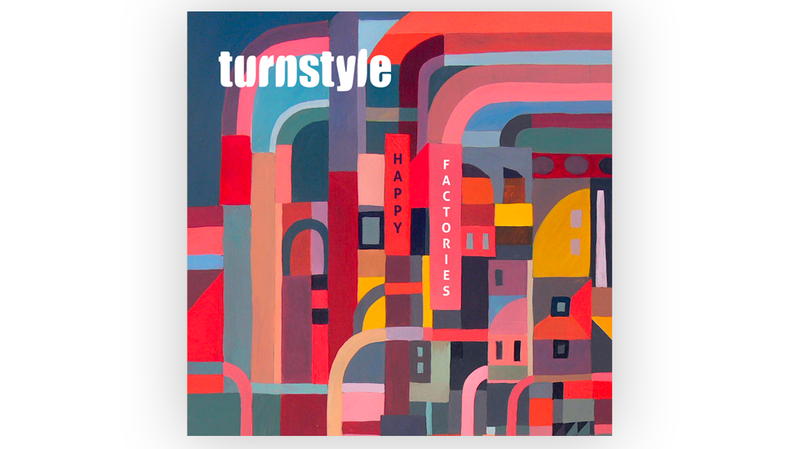 Perth band room favourites Turnstyle are finishing 2018 with a bang thanks to their forth record, Happy Factories. You could point out the obvious 90s indie influences (a la MBV, Pavement etc) but more than anyone else, Turnstyle are channelling themselves. Pioneers of their own distinctive indie sound, they may find themselves in a more contemporary space here, but they’re still boys with their (Casio) toys. The multi-talented group of four (Adem K, PJ, GMC and Dean J Davies) swap and change throughout, including sharing the writing and vocals, although drummer Davies now commutes from Brisbane to record. Self-recorded and produced at home by Adem K, some of the tracks border on lo-fi demos or jams, exposing the DIY creative process. Happy Factories continues the grittier and dirtier sound from 2015 LP Time Equals Function. The rock songs are the highlights here. Driving guitars launch the album on Sir History, later followed by the trio of Killer, Breezy and Jesse’s Amazing Chorus providing the noise and pop-punk up front. The album peaks with a shout out to drummers afar, featuring a screaming cameo from non-other than Bob Nastanovich (Pavement), on Send In the Drums! A distinct laidback summer vibe is perfectly captured on We Are 18, Go In Strong and Caught A Break. Filled with meandering melodies and catchy lyrics, these intermittent breaks provide the perfect opportunity for that car singalong with your loved one while driving D’outh on a long weekend. Palance (actually recorded in the mid 2000s) sits at track nine, but it’s a dreamy interlude that almost feels like a closing track. This makes makes the following trio feel a bit like an encore, with the signature Turnstyle sound in Spells and B-Glo, before When Will We See Snow completes the record in unifying group chants. The band state that this finish is “symbolic of the band’s supportive collaboration musically and personally as the record was in fact conceived during several tumultuous and life-changing events for its members”. 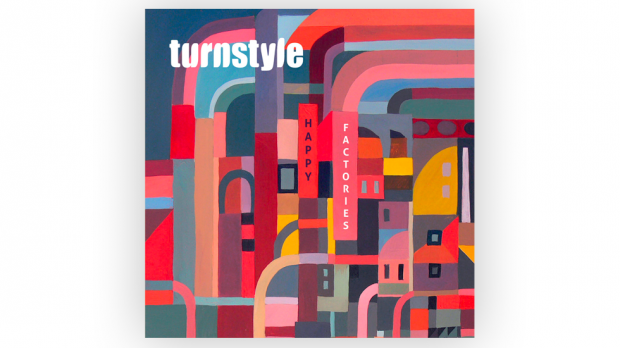 Happy Factories isn’t really pushing any boundaries, but the new tunes will keep any Turnstyle fan satisfied and are sure to be a hit played live.